Welcome to the Corsica pages of www.snorkelinfo.net. Corsica (Corse) is an attractive island for snorkeling. The fish are less diverse than at Corfu and the water is slightly less clear. Caused by an often stronger wind, the waves are higher than at Corfu. Corsica has hardly any pebble beaches. But the conditions are much better than in Tuscany. Corsica offers many bays, especially allong the west coast and the south eastern coast. 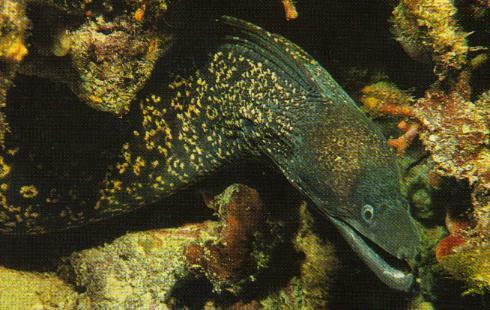 The bays are often difficult to reach. Postcards in the shops may show very beautiful spots, but you may well not be able to get there without a boat. Snorkeling is very popular at Corsica. On almost every beach you will find people with snorkeling equipment. 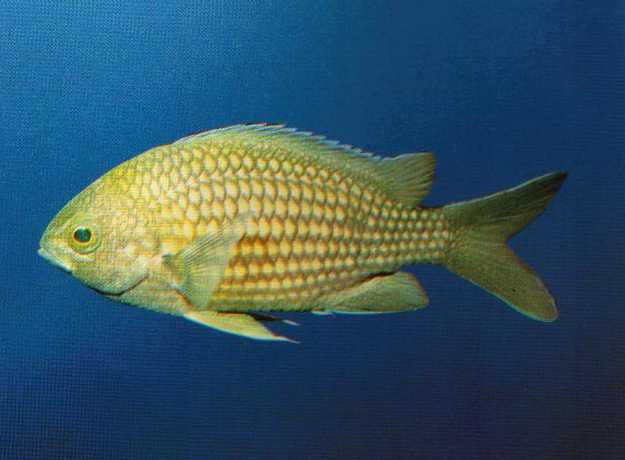 At the lower end of this page you will find pictures of fish we have seen and a list of usefull internet sites about Corsica. 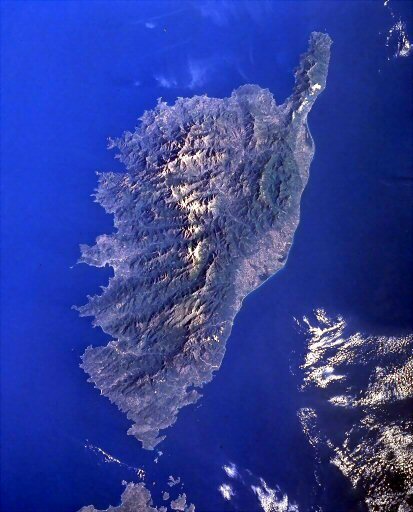 When we went to Corsica, we did not use Google Earth or Google Maps to explore the places to go to. Not all of Corsica has been included in Google is such way that it is helpfull to explore the Island before going there. But some parts of the coastline are captured in so much detail, that it can serve as a perfect exploring tool. On our page on Tonnara you can clearly see we missed a great spot only 200 m from the place we visited. Jelly fish, Rhizostoma pulmo. Spotted at Biguglia. Not so nice to meet. We called this fish 'the two metre fish, since we saw them (many of them) only in water deeper than 2 metres. In general you will see them darker than this picture. In fact you need to go very close to see any colour on them. The youngsters are brightly purple/blue. 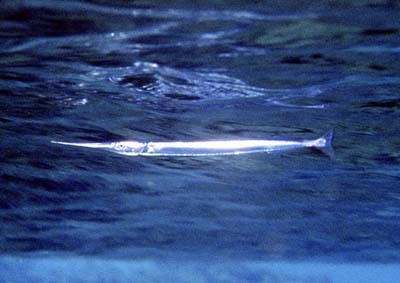 Garfish, Belone belone, spotted in several bays. They swim just below the surface and are therefore easy to miss. 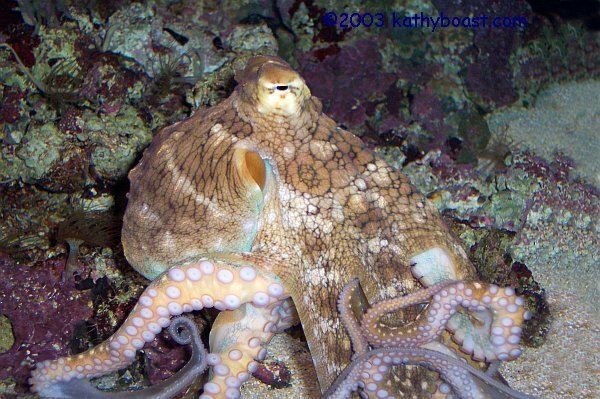 Octopus, seen at Sagone and Rondinara. 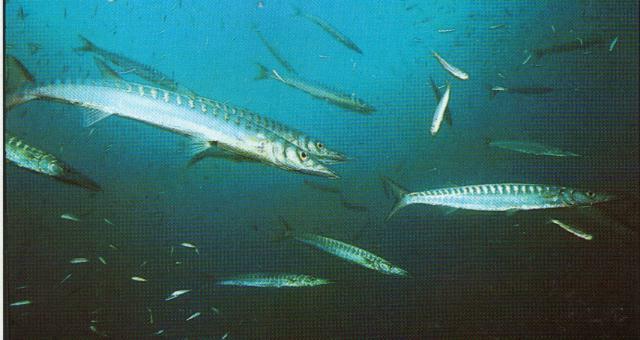 Striped Baracuda's, Sphyraena viridensis, seen lots of young ones at Portigliolo, but also at other spots. Boxlip mullet, Oedalechilus labeo, with its typical high-positioned side finns. Small triplefin, Tripterygion melanurus, spotted at Portigliolo. Often 'hangs' at a vertical surface like on a rock. 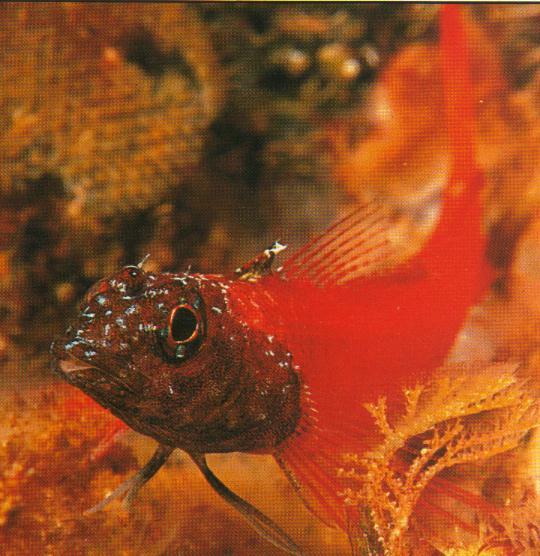 We probabily also saw the Red triplefin, Tripterygion tripteronotus. We are not responsible for any damage, injury or other harm resulting from the information our internetpages. Erik Toussaint and family.